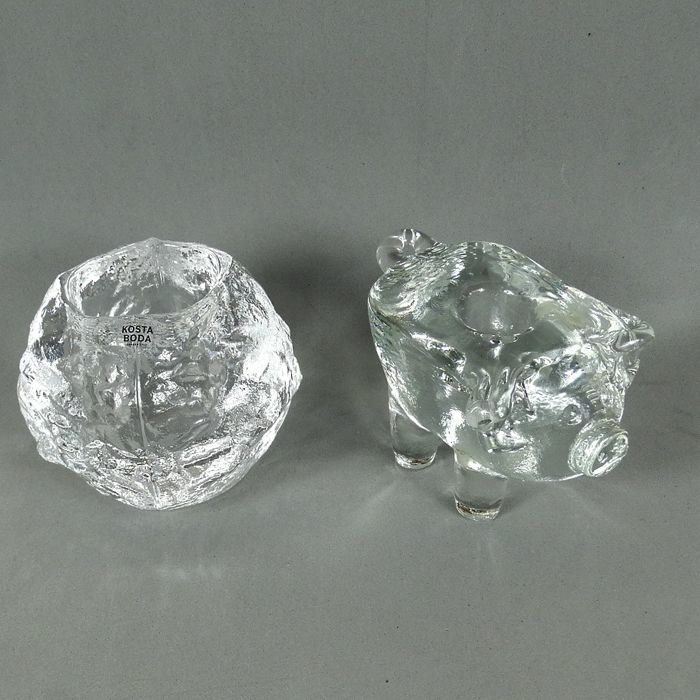 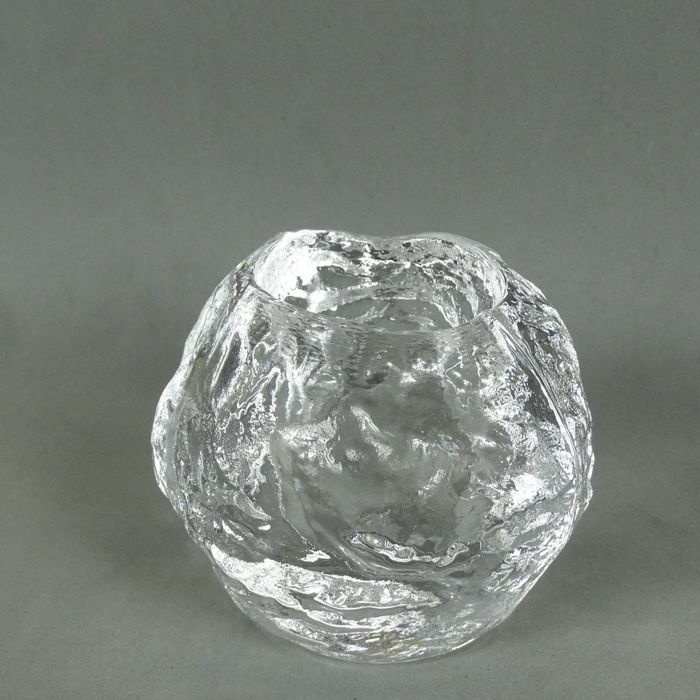 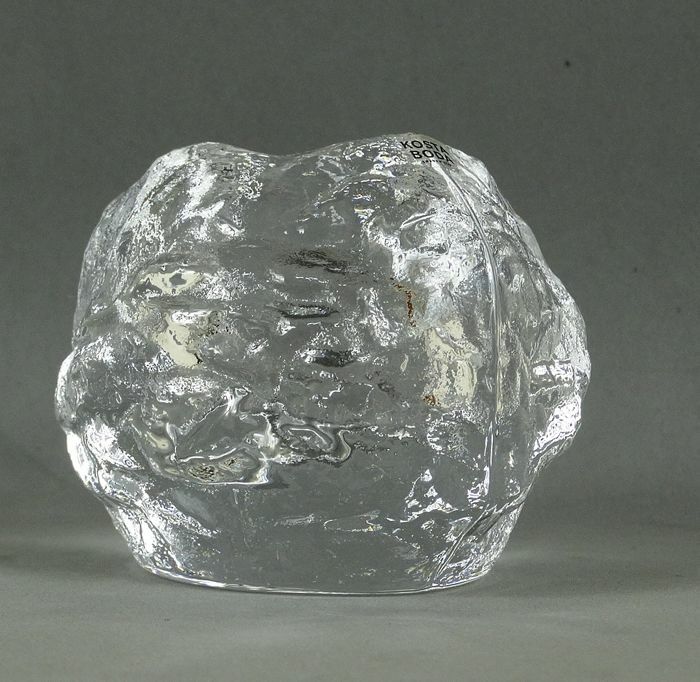 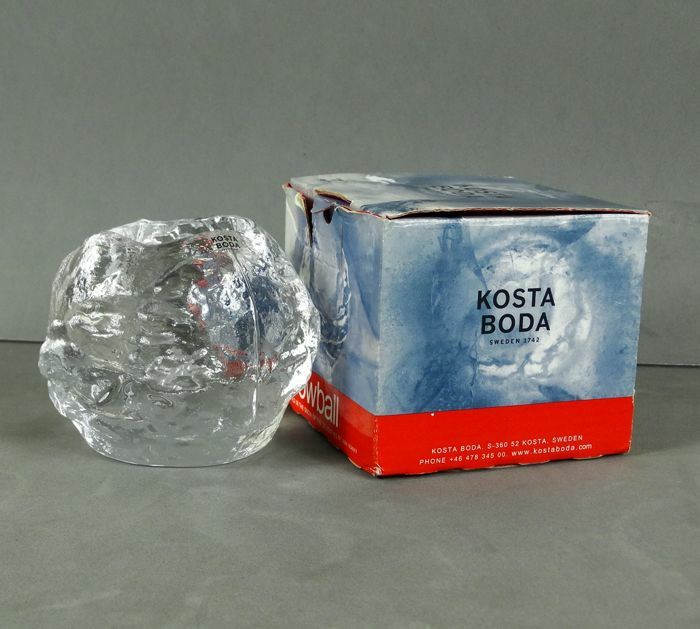 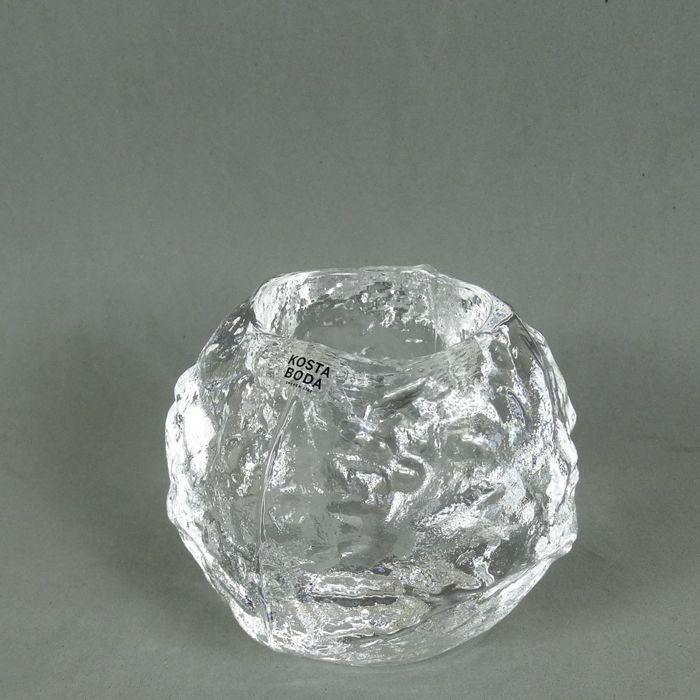 Snowball -made of the snow of the seventies by Ann Warff (designed in 1970s) and manufactured by Kosta Boda. 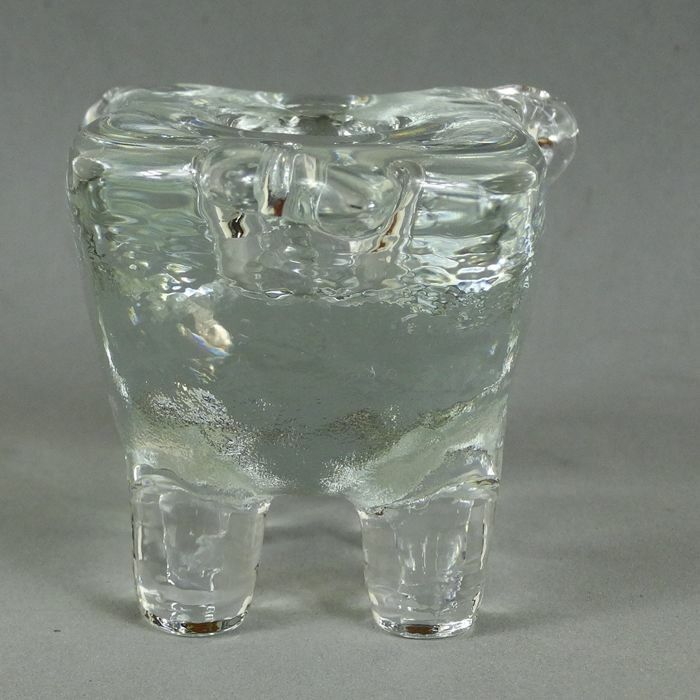 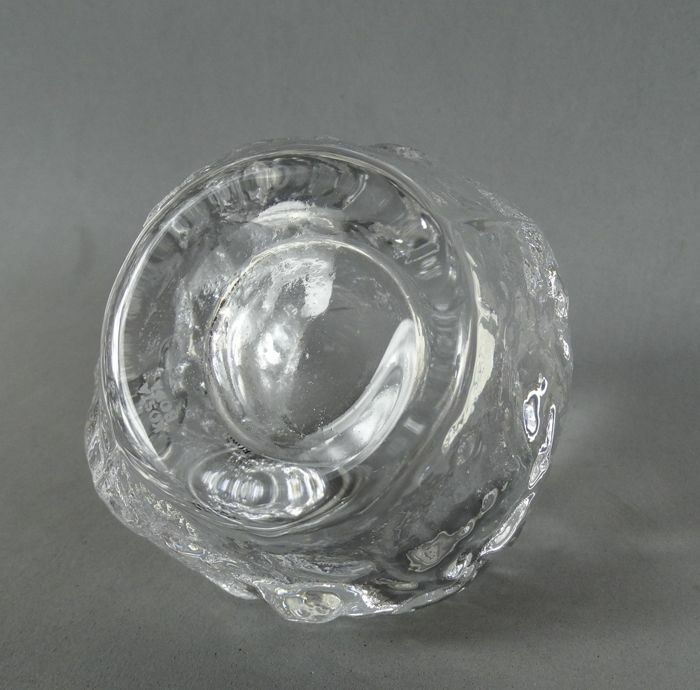 This is a votive for a tea light. 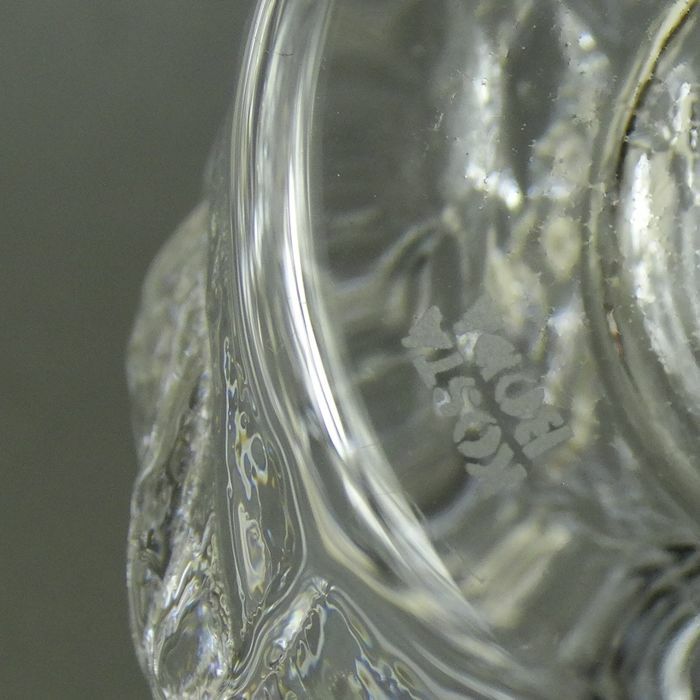 Snowball has an original sticker, box and also Kosta Boda engraved on the bottom. 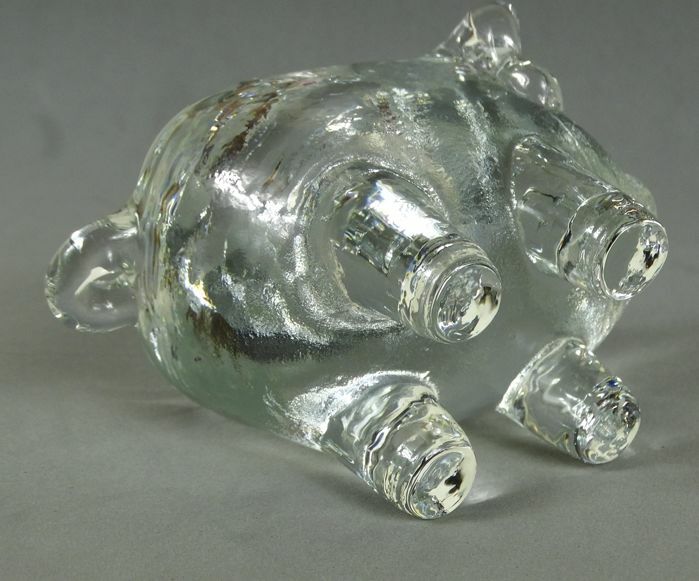 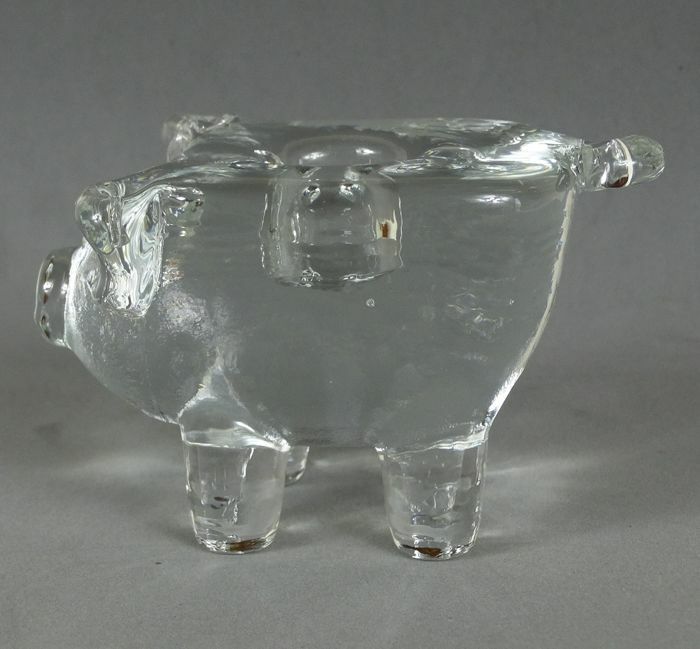 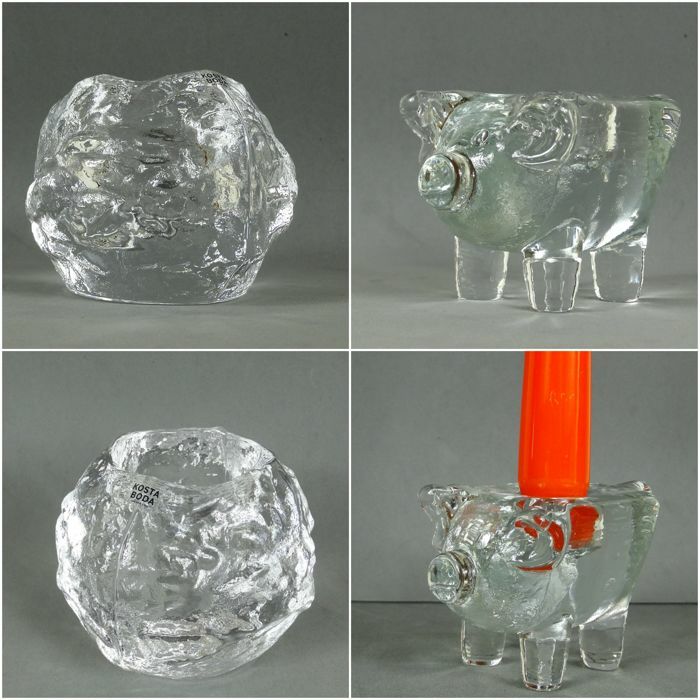 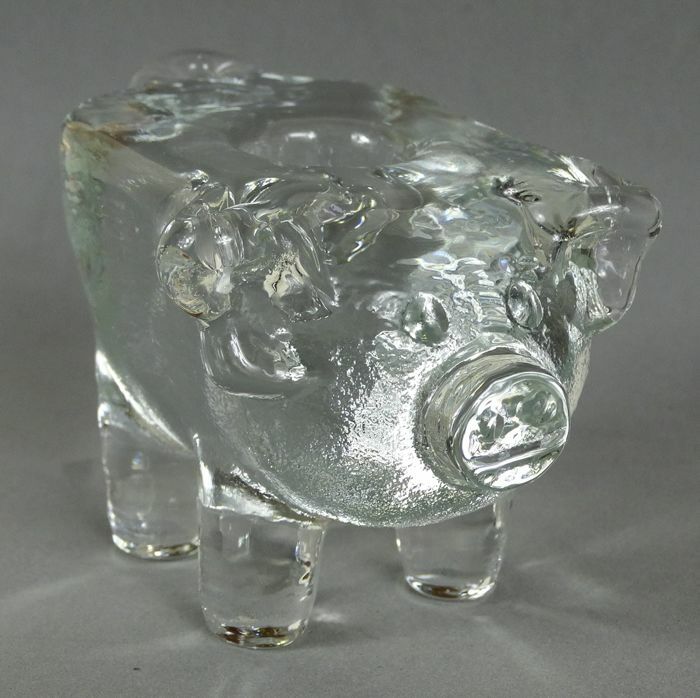 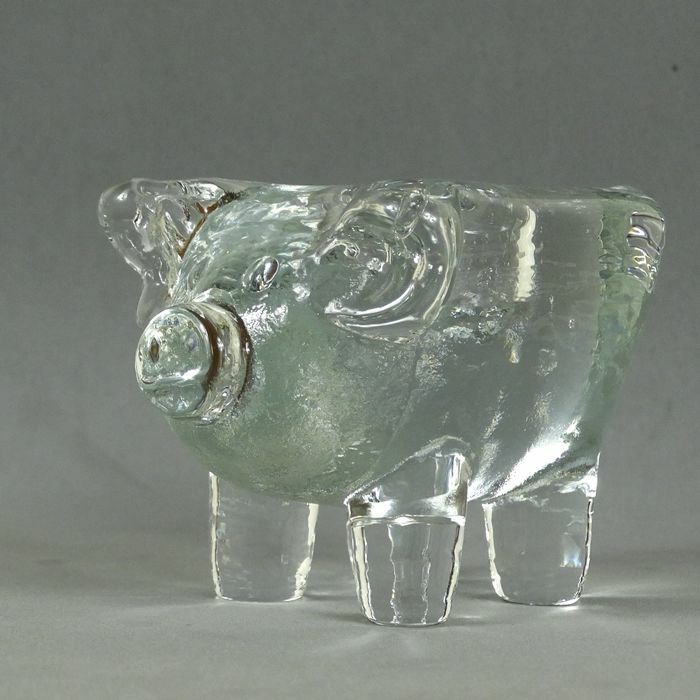 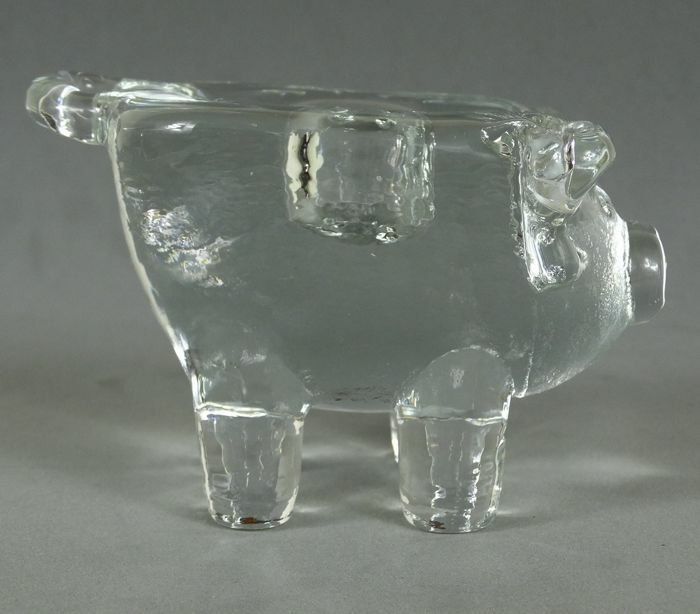 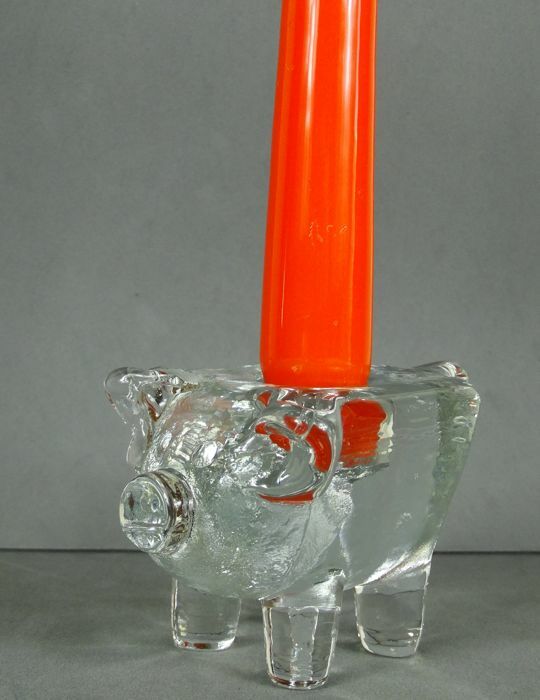 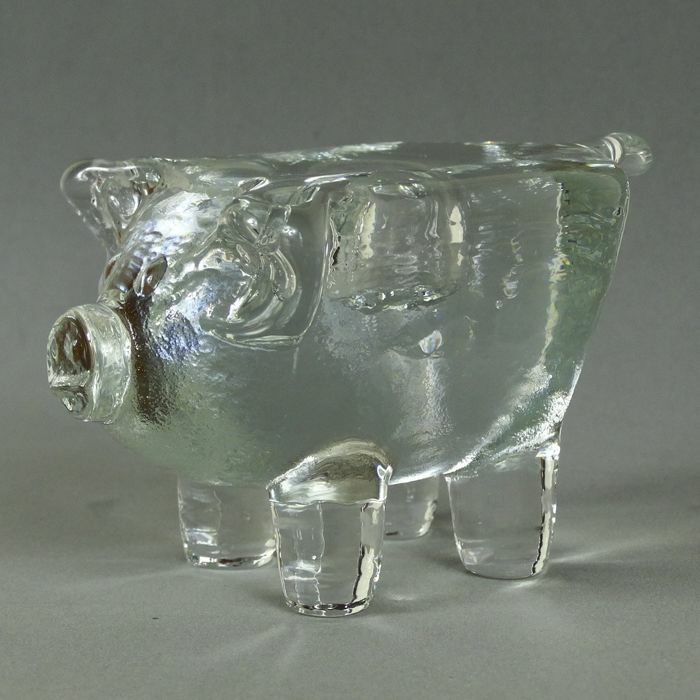 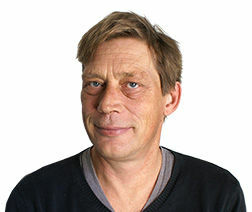 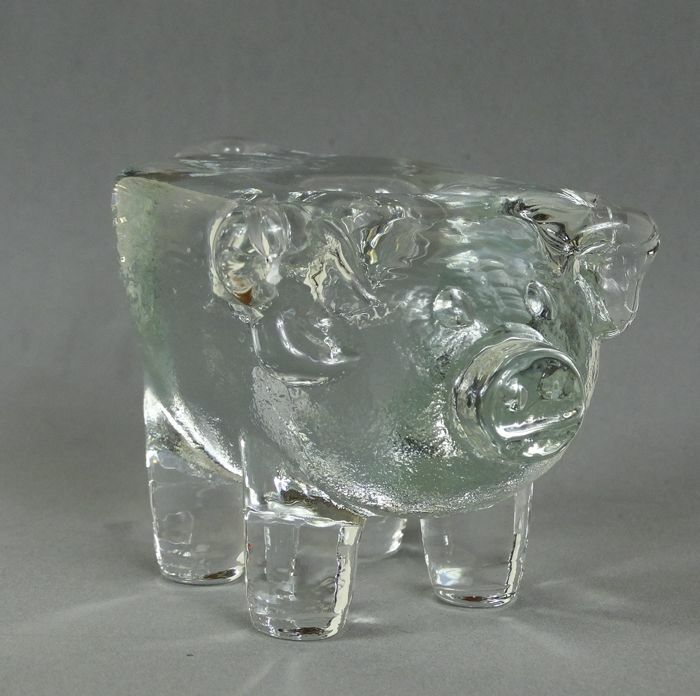 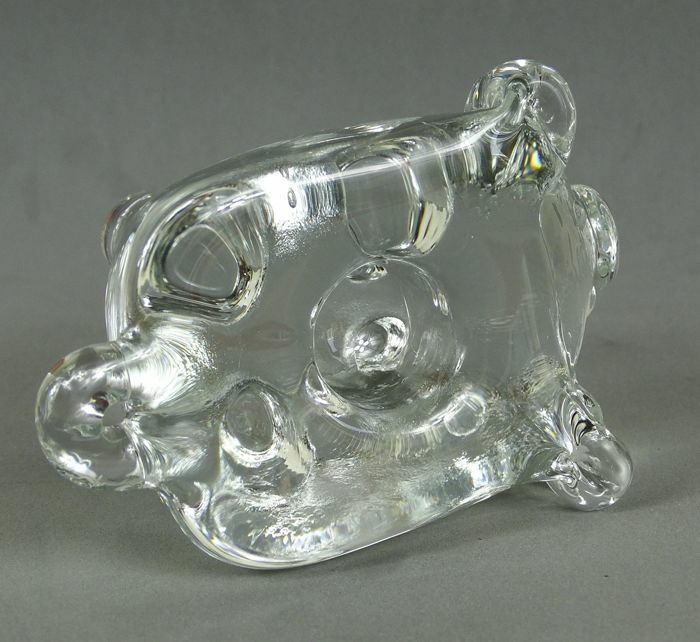 Pig candle holder designed by Bertil Vallien and manufactured by Kosta Boda.